You might be someone who values your privacy and does not want everyone you know to be aware when you come online or when you were last seen online. Below you will find a definitive guide that explains how to be truly invisible on WhatsApp, regardless of the device or platform you use. 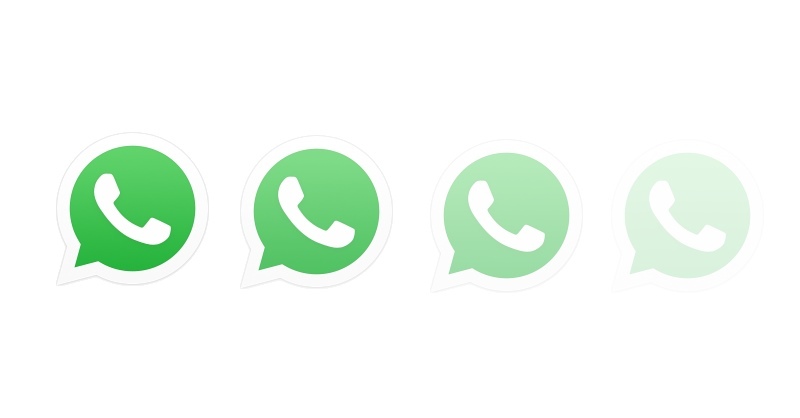 This article will explain how to appear invisible on WhatsApp. You will still be able to read you messages and hide the “last seen” information from nosey contacts. The more you read on, the more you will learn about maximizing your privacy on the app, which is currently a trending controversy on the internet. While there are certainly apps out there for download and purchase that claim to offer invisibility on WhatsApp, they are anything but necessary. You do not need them at all, primarily because the majority of these applications simply activate airplane mode to allow you to surf WhatsApp unnoticed. You hardly need an application to do something so simple, as this feature is readily available in your settings. As you might have already noticed, WhatsApp is not like the old MSN Messenger which gave you a lot more freedom as an invisible party. In fact, you cannot choose this option at all. This however, doesn’t mean that you are out of options, as you will soon learn. 1. Turn On Airplane Mode – Yes, much as the invisibility apps offer, you can just manually turn on airplane mode yourself. You can enter the application, read all of your messages without blue ticks appearing and not change the “last seen” information. When you turn off this mode, and the app is still open, you will become visible again. 2. Block A Contact – You might find that there is really only one person that you are trying to avoid, and it is far simpler to block this contact rather than to prevent calls and texts to your phone while you cruise WhatsApp in airplane mode. By blocking a contact, they can no longer see the information about your “last seen”, when you are online, view your profile, or even send you messages. To do this on a smartphone (iOS or Android) open WhatsApp, and go to Settings. Choose Account, then Privacy, then Blocked, and finally Add New. To unblock them, long press on their name in the blocked contacts list and choose to unblock them. 3. Disabling “Last Seen” Information – removing this information is pretty simple to do, and you would be far from alone in wanting it to be removed from the service. To deactivate this feature, open Settings in WhatsApp, choose Account, then Privacy and set Nobody. If you are curious to learn more about ticks, you can see our complete guide on the website here. 4. Unchecking Read Icons – You can modify your settings to not inform your contacts when you have read their message. This is also a simple process to achieve, simply head into the Settings menu on WhatsApp, choose Account, then Privacy and tap on read recipients. If you disable this, you are no longer going to be able to see when someone else reads messages you send either. My Contacts – You will only share your status with contacts. My Contacts Except – This shares your profile with all contacts except for some designated contacts that you want to keep in the dark. Only Share With – This blocks your profile from everyone but contacts you hand select. In reviewing all of the choices you have, options 2 and 3 are likely the best in terms of hiding information from the appropriate people. 6. Hide Your Profile Photo – You might easily be able to see the merit in keeping your profile picture hidden from all of the contacts and users of WhatsApp. From the Settings menu in WhatsApp, click in Privacy, then Profile Photo, and finally Nobody. By choosing this option, no one can see your profile picture anymore. There is also an option to only share it with contacts you have. Now you can successfully become invisible on WhatsApp, despite their efforts to prevent this from being an option to users. You might want to take some time to review the information we have about maintaining and understanding privacy settings and features with the WhatsApp application. If you find yourself unable to drop off the grid, feel free to drop a comment below so that I can help you become invisible on the messenger.